Looking for speedy production? Our form fill seal capabilities allow us to offer you multifaceted pouching options at low cost with quicker production time. Form fill seal systems do exactly what the name suggests. 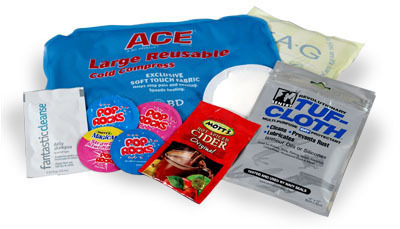 We send packaging material through our mechanism so that it forms a pouch, then fills it with your product, and immediately seals your product inside the pouch to complete your packaging at a rapid pace. When form fill seal packaging technology is in motion, it’s exciting to watch! Whether we’re using horizontal form fill seal (HFFS) or vertical form fill seal (VFFS) machines, packaging material is fed off a roll and formed into the proper shape for your product. Next, the mechanism fills the formed pouch with your product (see applications below) without causing any concern of contamination. The final step seals the pouch and separates your newly packaged products so that they are ready for storage and shipment. State-of-the-art large production capacity form fill and seal production lines. Form fill seal machines are operated by proficient control networks and state of the art computer programs. 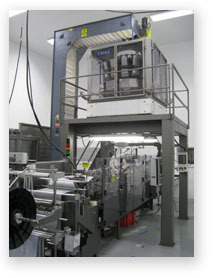 These systems streamline the packaging process by cutting production time and increasing versatile manufacturing. Various ranges of packaging formats – including size and shape – can be applied to a single run for companies in need of multiple marketable sizes.